Special medical equipment, such as fiber optic cables, miniature video cameras, and special surgical instruments handled via tubes inserted into the body through small openings in its surface. The images of the interior of the body are transmitted to an external video monitor and the surgeon has the possibility of making a diagnosis, visually identifying internal features and acting surgically on them. 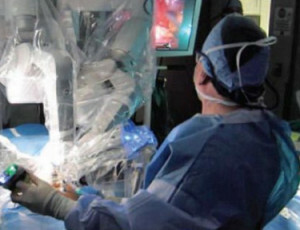 In the case of enhanced open surgery, autonomous instruments replace traditional tools, performing certain actions with much smoother, feedback-controlled motions than could be achieved by a human hand. 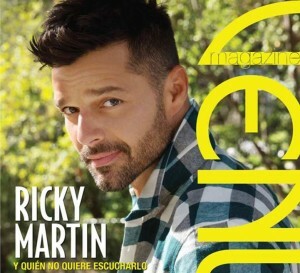 Venue, the Spanish entertainment magazine has featured the article, translated to “Changing Lives”, which discusses Bariatric surgery and it’s potential benefits. The article interviews Dr. Anthony Gonzalez and dives into how he and his team at Baptist Health – South Florida, are changing lives. View the Article that Miami Herald published, which includes perspectives from Dr. Gonzalez regarding weight-loss surgery and the dedication to lifestyle changes that are needed by patients once a procedure has been performed. 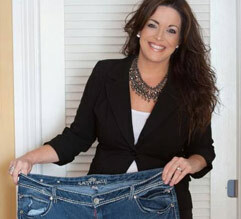 At 16, Shaina weighed 242 pounds. She also had developed a complication of obesity in which pressure builds up within the skull, damaging the optic nerve. The only solution for Shaina, who had already started to suffer vision loss, was to lose weight - Fast. Doctors do not like change. This is a statement that does not seem to make sense, as medicine changes continuously. Many doctors and many centers have been resistant to adopt new technologies. Even those doctors who have embraced robotics cannot become complacent and believe that they have reached the peak and do not need to change further. Dr. Anthony M. Gonzalez was born and raised in South Florida. He graduated from the University Of Miami School Of Medicine and went on to continue his surgical training at University of Miami/Jackson Memorial Hospital Medical Center where he was appointed Chief Resident. Dr. Anthony M. Gonzalez is a board certified general surgeon with interest in general surgery, laparoscopic surgery and bariatric surgery. 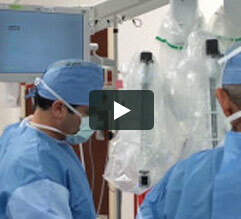 He has been involved in the care of bariatric patients since 1994. Dr. Gonzalez is the Chief of Surgery at Baptist Hospital of Miami, after serving as Vice Chief of Surgery for 4 years. He is the Chairman of the Medical-Surgical Performance Improvement Collaborative at Baptist Hospital. His leadership has lead to the reduction of Surgical Site Infections and Surgical errors at this facility. 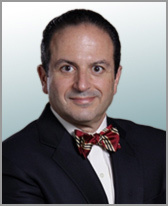 Dr. Gonzalez also serves as the Medical Director of Bariatric Surgery at South Miami Hospital. Dr. Gonzalez is a member of multiple professional societies including the American Society of Bariatric Surgery. Dr. Anthony M. Gonzalez reputation has motivated surgeons from all of Central and South America to travel to south Florida to glean from his specialization in Bariatric and Laproscopic Surgery. When doctors are unable to travel from afar or when a multitude of physicians and surgeons must be reached, he televises his surgeries “live” to the society meetings. Dr. Gonzalez has also continued his affiliation with the University of Miami as a voluntary assistant professor of surgery. Board certified general surgeon with interest in general surgery, laparoscopic surgery and bariatric surgery. Dr. Gonzalez is the Chief of Surgery at Baptist Hospital of Miami, after serving as Vice Chief of Surgery for 4 years.